As if I needed any more makeup products (that's a total lie, I always need more!) I fell to the temptation of NYX again. 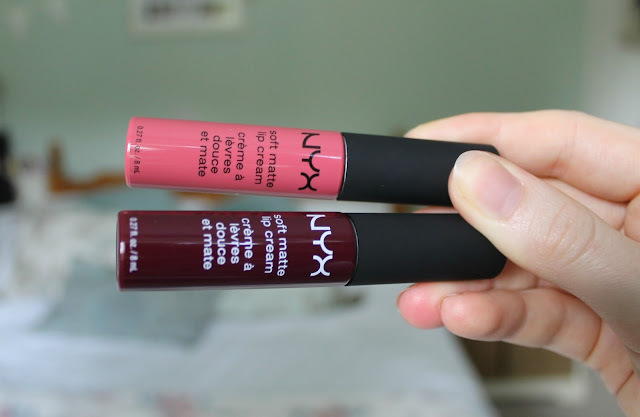 From my last NYX Lips and Brows Haul I've picked up two more Soft Matte Lip Creams. 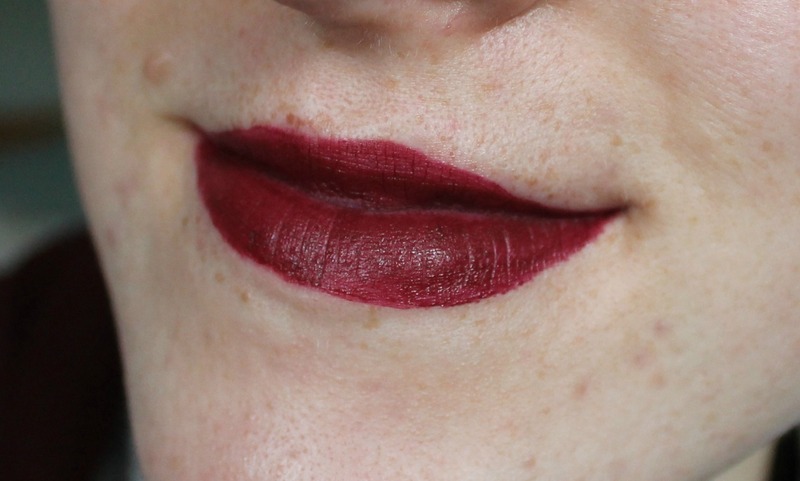 Usually I hate anything matte and drying on my lips, but this doesn't make them feel all craggy and cracked. 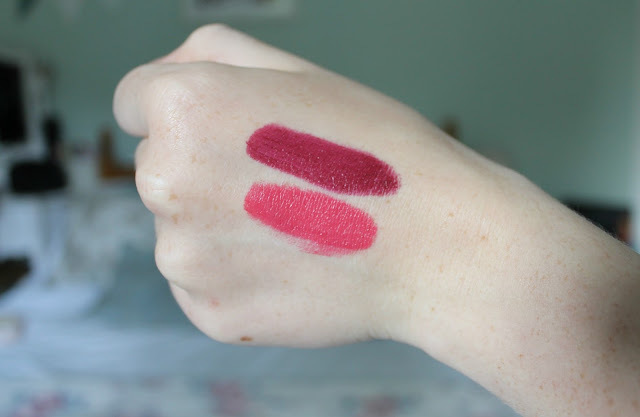 They're super soft and creamy on the lips and last an age - I've only had to re-apply after eating and I love the process of applying makeup anyway! Copenhagen was a brave choice for me, I usually stick to pinks and nudes and hardly ever venture into red or burgundy. But I fancied a change and I do really love this shade - it's grown on me a lot! I haven't tried it with a lip liner yet and to be honest, I don't really know my lip shape enough anyway.... I'll be practising a lot more with it. It can come up patchy, so I apply a couple of layers to get the above colour. 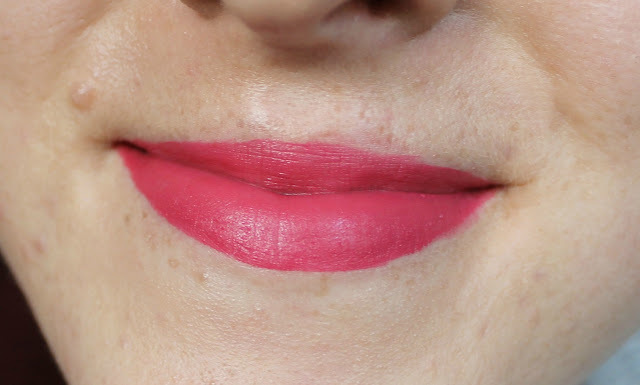 San Paulo is definitely in my territory, it's a beautiful hot pink shade that looks gorgeous once on! I did the drinks test and it passed, but after eating I needed to reapply although it didn't bother me too much. Compared to Copenhagen, San Paulo works for both day and night and I can't wait to wear it more. Without a doubt my eyeshadow always creases and I end up with lines, instead of beautifully blended eyeshadow! I read a lot of great reviews on Boots.com and I can definitely verify them that NYX Proof It! 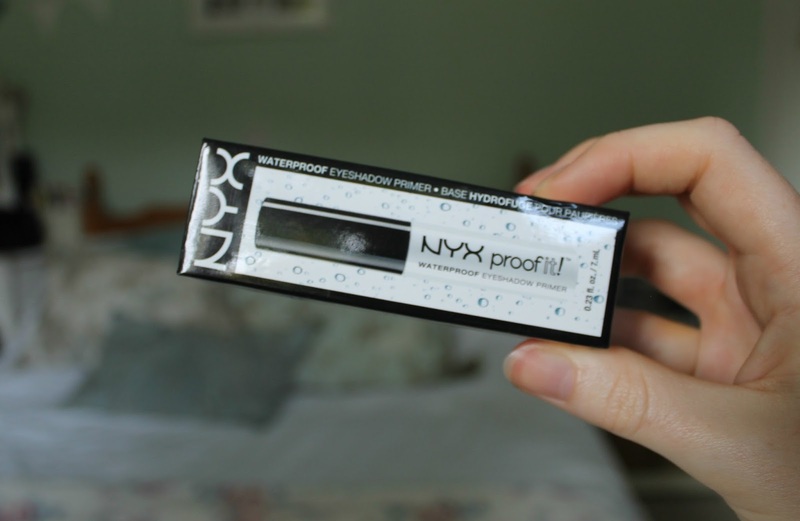 Waterproof Eyeshadow Primer is fab. It has a doe foot applicator, so you sweep it across your eyelids and blend in with your fingers. You have to be quick to start applying and blending your eyeshadow, because once it's on, it's on. There's no lazy and long blending time with this product. 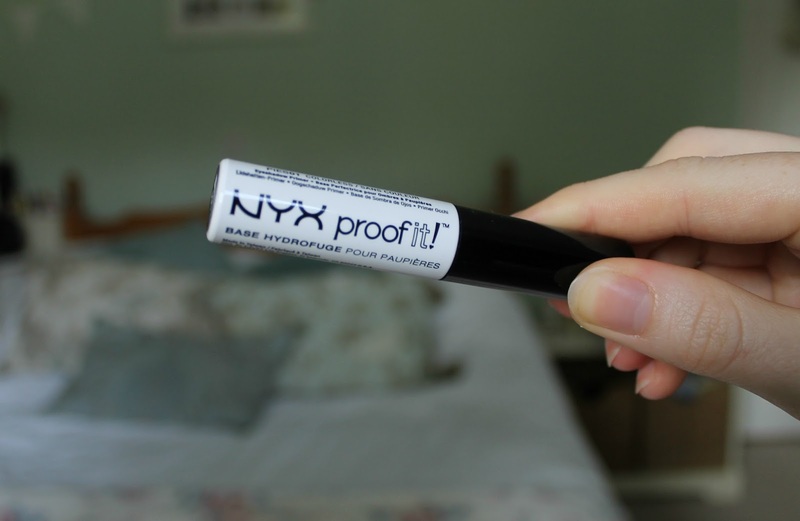 If you've got greasy eyelids that crease all eyeshadows, then give this budget friendly primer a try.